Meet Enzo, our soppy, gentle giant. He was very worried when he first arrived, but with time he has shown us his laid back and playful nature. We believe he is a Dogue de Bordeaux cross Rottweiler, and he will need owners that are experienced with Guarding breeds as he does show traits of both. Enzo is good with other dogs, but doesn’t always remember his size. He will need ongoing socialising before he is able to live with another dog. He loves his food and toys and has great potential for further training. 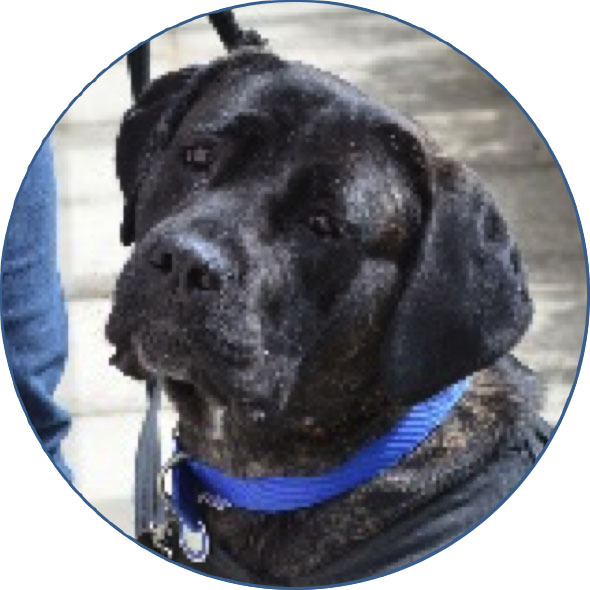 He will be the perfect addition for a family that appreciates the quirks of the Mastiff breed. Our older boy Dillon is a sensitive soul. 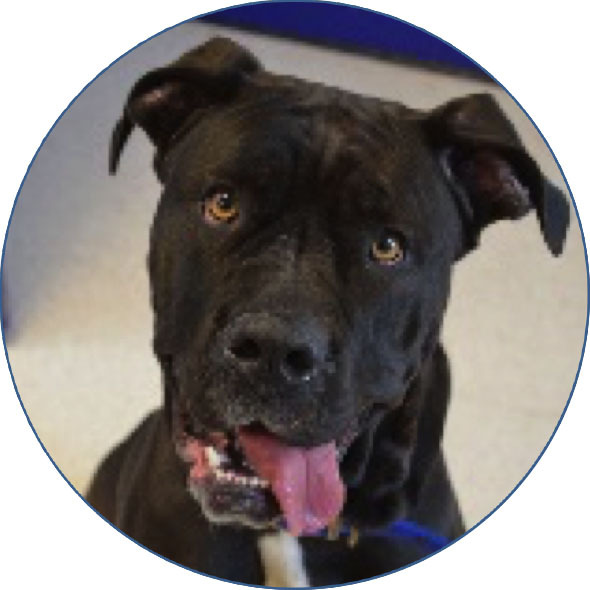 He is looking for a fresh start where he can find his feet again, and most importantly a big, comfy bed where he can stretch out for a snooze. He has a gentle nature and loves nothing more than the calm company of his people. He has a goofy personality and some endearing quirks which keep the staff here at Battersea in stitches. Spend five minutes with Dillon and you can’t help but fall for him. He will make such a loving addition to his lucky forever family, and will be sure to bring lots of joy and laughter into the home. Sharon is a sweet, laid back lady who is looking for a loving, calm home where she can finally begin her retirement years. She is a very loving girl and loves nothing more than to cuddle up with her favourite people. Although Sharon is friendly with other dogs we feel she should be the only dog in the home as she won’t like to share the attention, any love being given out should be reserved for her! If you think you can offer Sharon a comfy bed and lots of love then she may be the dog for you.